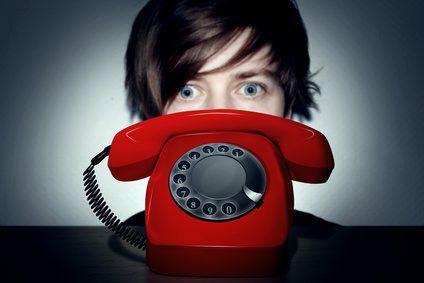 Is your old phone system turning clients away? As a business person myself, I know how important it is to look after your customers. And if you’re like me, you probably know that you need great sales people to do that. It’s a real skill to make a customer’s journey easy and memorable. But even the best sales people in the entire world can’t make sales if potential customers can’t reach them. If people are calling your business and getting the run-around because of an old and inefficient phone system, you could be losing thousands of dollars of revenue. But it’s just the phone, you might say. Can it really make that much difference to the bottom line? Well, yes it can. And phones aren’t just phones anymore. Let me explain. What’s wrong with my old phone system? The problem with your old phone system is that it hasn’t changed. But customers have. People these days are information rich but time poor. What exactly do I mean by that? Well the internet makes it easy for people to research their options when they’re looking for a business or service. They have plenty of choice at the click of a mouse. But digital technology has also made the pace of life faster. There are so many more distractions and so many more things we need to do in the course of a day. So what’s this got to do with your business phone? Well, nowadays people don’t have the patience or the attention span to be messed around on the phone. What happens if they call your business and can’t get through? Or get left on hold because your system doesn’t have enough phone lines? Or your clunky old system loses their call. Or cuts them off? Do you think they’ll call back? I don’t. They’ll probably just go to the next business that came up in their internet search and call them. And the worst thing is that because your old phone system doesn’t have the features to report missed calls, you won’t even know how many customers you might be losing. Is a new phone system worth the money? A new phone system will cost you money. There’s no way around that. So is it worth it? It might help to look at this equation from a different perspective. Is a new phone system going to cost you more than a lost customer? Think about how much it costs you to win a new client. That includes marketing costs, discounts and special deals. How do those costs compare to a new phone system? And think about how much a new client is worth to your business? Then compare that figure to the cost of a new phone system. How many new clients would it take before the phone system paid for itself? What will I get from a new phone system? Firstly, new phone technology means you won’t lose any more calls. Systems these days have the technology to analyse the calls coming in and out, and to give you the numbers of any calls you missed. So you can call the customer right back. The new systems also have the capacity to add more lines as your business grows. And if you do need to put customers on hold, you can create a call queue that tells people you’ll be with them shortly. This makes customers feel like they’re being looked after. What’s more, while they’re waiting, a new system will let you play them a message about your business. It’s a great opportunity to give customers some more details about your services. So there’s some food for thought on updating your phone system. As I mentioned, there is a cost to install a new one. But there’s also a cost in sticking with an old clunker. If you have more questions or you’d like advice you can talk to our solutions specialists at Expert Telecommunications. They can help you choose the right technology and explain how to go about upgrading your phone system. Call us on 03 9474 0044 or email us at sales@expert-telecom.com.au.